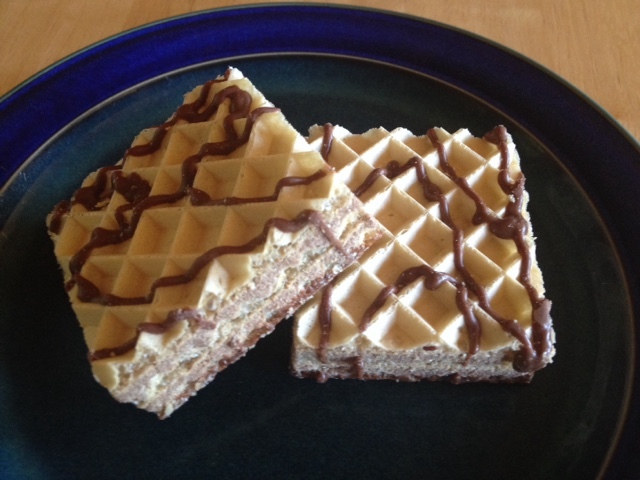 My special treat from my shipment from Nashua Nutrition was the Mocha Wafer Squares. The mocha wafers satisfy so many cravings: sweet, chocolate, crunchy, cookie. They are light and crispy, taste great from the first bite to the last, and don't leave an unpleasant aftertaste. I did get some pieces stuck in my molars, which wasn't the best. What I do love, is that you get two generous wafers. This means that I can eat one piece for an afternoon snack, and then another piece for an evening snack. Twice the pleasure! I only which the wafers were restricted or unrestricted, so that I could enjoy them more often.